During the past six months all sorts of things have happened, mostly with very little financial impact. However, my portfolio saw some major changes. Brexit and the US presidential elections had a profound impact on currency exchange rates thus boosting my foreign holdings higher, oil and commodities gained in price again with those sectors right in tow, and the first hints of increasing interest rates are starting to surface with an impact on debt-heavy sectors. Nevertheless, my portfolio did what it had to do: throw off dividends and generate a steady passive income stream. Meanwhile it soared to new heights with an increase of 6,250 Euros compared to September. That’s a decent chunk of change, especially when considering that I bought a new mountainbike during the same period – thank you December stock market rally. As such, the total gain for Q4 comes out at 6.68%. With my net worth growing ever larger that number continues to drop each month, but that’s maths for you. 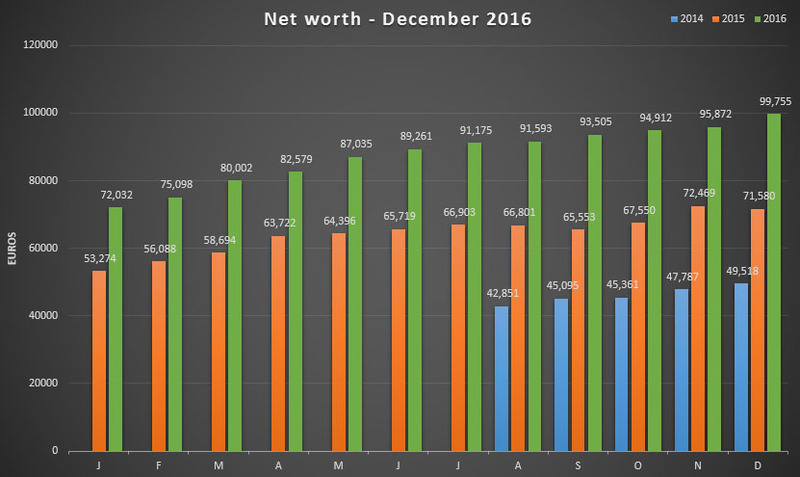 Compared to the beginning of the year I gained 28,175 Euros or 39.36% thanks to my savings habit and a little help from the stock market. The big advantage of dividend growth investing lies in the fact that you regularly receive dividends in the form of cash payments from your investments. These payments can then be used to buy more stocks and further fuel your future passive dividends, thus effectively boosting the compounding effect of your investments even faster. Of course, re-investing my dividends isn’t enough to move the needle significantly. The majority of my portfolio and income growth comes from new savings, which allowed me to purchase new stocks 12 times in the past six months. I almost exclusively added to already existing positions, mainly because I saw continued value in them or because they fell out of the market’s favour for a variety of reasons. As an added benefit I was able to rebalance my portfolio slightly since a lot of sectors had gained or lost quite a bit the past couple of months. Just take a quick look at the oil and commodities sectors and you’ll see what I mean. In the health care sector I decided to add to Swiss Roche Holding AG (VTX:ROG) and French Sanofi SA (EPA:SAN). Both companies’ stock price tumbled for a couple of weeks without any direct threat to their dividend payments, so I jumped on them. My portfolio now contains an additional 5 Roche and 15 Sanofi shares. On top of that I purchased into Danish pharmaceutical Novo Nordisk (CPH:NOVO-B), which saw its market value almost halved in the span of a couple of weeks because of a weakened outlook. Investors seemed to scatter after management announced it no longer expects double digit growth like in the past. However, Novo Nordisk’s decline meant a good entry yield for the first time in years for such a high quality diabetes stock, so I decided to initiate a new position of 90 shares over the course of three months to reduce the risk of any further volatility. Closer to home I continued buying into Ageas NV (EBR:AGS), a Belgian insurer that was beat down excessively by the market during the summer months. In my last portfolio report I had already acquired 70 shares, but in July and August I bought another 80 more. I furthermore bought 13 shares of brewer AB Inbev (EBR:ABI) and 15 shares of Home Invest Belgium (EBR:HOMI) on what I estimated to be a short period of weakness in the market and a compelling price for both companies. The last couple of purchases pertain to industries that are strongly impacted by rising interest rates. Future earnings of Spanish utility Enagas SA (BME:ENG), British utility National Grid plc (LON:NG) and telecom operator Vodafone plc (LON:VOD) are likely to be under pressure when interest rates increase, but since they operate in a well-regulated environment, have decent earnings or show a sign of earnings recovery, I believe their relatively high-yielding dividends are safe. In August I decided to liquidate my ETFS, mainly because performance was on par with my dividend growth portfolio. The advantage of diversification through the index funds became smaller and smaller as I bought into more dividend paying companies. Besides equities I also have some other investments, one of which is a tax-advantaged pension fund and another one that basically is a savings account. 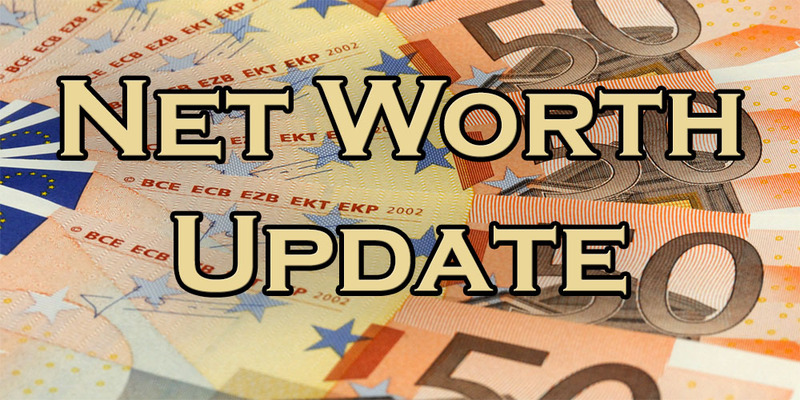 The pension fund continues to receive automtic payments to hit the €940 upper limit for 2016, while any excess cash goes towards the savings account and the emergency fund. We’re finishing 2016 with the six figure finish line in sight! I’d call that amazing progress even though I had hoped to cross it before the end of the year. Saving as much as possible and investing those savings into high quality dividend stocks to create a truly passive income stream therefore remains my number one priority for 2017. Just like 2016 has shown tremendous progress towards financial independence, I’m sure that 2017 will be even better. Of course, you can’t predict stock markets, but my own savings capacity and the dividends my holdings throw off on a regular basis are either within my own control or relatively certain variables. At least they’re more consistent than my recent writing efforts, ha! To finish this post off, I wish you all the best for the new year. I hope your family’s health is top notch, that friendship flourishes, and that your professional and financial dreams become a reality. Please let me know in the comments how your 2016 was and which goals you hope to achieve in 2017! Right back at ya, DFG! All the best for 2017! Wish you a good start for the new year. Glad to see you’re still kicking around. Best wishes for the new year. nice progress and even cooler that you are back. Thanks, Andy! Glad to be back. I thought you retired already!! 🙂 Jokes apart, it looks like you have been working solidly and the PF results show great results for that, best compliments! Hope to see more posts in 2017! Ha, I wish that were true! Still got a long way to go before I can retire comfortably, but I made some decent progress the past couple of months. Nice figures NMW. Glad to see another post from you, this blog was one of my inspirations for starting to blog about my own dividend growth investing journey. I also loaded up some more ABIs recently. Good call on ABI! The only downside of that company is the relatively hight debt compared to its peers, but nothing it can’t manage. I always keep an eye on your progress because we started out around the same time, so it’s fun to compare our progress. Best of luck in 2017! THERE YOU GO!! Almost 100K!!! Congrats and looking forward to your 2017. Cheers, Lanny! Best of luck to both of you in 2017, I’ll be following along! A warm welcome, I enjoyed your post! Impressive progress. Thanks, Mark! I’m going to try and pick up the slack from the past months and post more regularly again. Nice to see your improvements every month and to see more people in Europe talking about these topics. I’m sure you’ll achive financial independence very fast!!! Financial independence can’t get here fast enough, so I’m trying my best to speed up the progress! I’ve definitely noticed a lot more Europeans chiming in over the past few months, awesome. I’ll make sure you guys can follow along in the future, Rory! And I’ll check out your own progress and blog asap. Good call on the ETF strategy. Still believe it’s a very good way to build a small fortune and achieve financial independence. With the dividend taxes in Belgium increasing again I might start to go down that route again too, but I still have some thinking to do. The tax increase is indeed a big bummer. In 2 year’s time taxes on dividends have gone up 20%… I’m currently reviewing my strategy, but I think 30% is my upper limit. If other legistlation changes for the worse I might switch back to ETFs. I can imagine the mortgage takes up a big chunk of your monthly expenses, but if you manage to put another €500 in ETFs every month you’ll be on track to reach FI just as well! I like how you write, very inspiring! ALso grats to the very impressive results and progress. Besides that I also picked up some shares in Novo Nordisk when it was slaughtered by the market. I think it will be a good call in the long run. Looking forward to follow your progress 2017! Glad to hear that! I lost interest in writing a while back, but it feels good to do it again. Novo Nordisk was heavily punished by the market, way more than I expected it to be. As you can see above I bought into the stock a little bit too early, but it’s nothing that keeping the stock for the long haul can’t fix. Good to read that you kept investing. Great results! Ending just below 100K is super. A good starting point for 2017. When interested, you can join Cheesy Finance, me and other bloggers on Feb 4 in Antwerp for a casual meetup. We had great fun in Breda a few months back. I’ll see if I can make it February 4th and let you know a couple of days in advance! For sure, there will be opportunities to invest that cash! For Feb 4, as it is in Antwerp, I consider the train rather than the car: frugal, more relaxing and better for the environment! Very nice increases over the year. I have just started to track my expenses and increases and I have finally realised that I have just in the last year increased my net worth over the 0 mark. Very exciting for me. Congrats on getting back in the green! That’s a big milestone and you’ll find that you’ll manage to push forward even faster now with interest working with you instead of against. Regarding your pension fund….I thought the upper limit was 940 EUR instead of 950 EUR, no? or even just financial literacy because I literally know nobody. It’s realy one of the best I’ve seen and I’ve seen quite some by now! Why do you still do it? It’s tough to spread the financial independence message to friends and family! I hardly ever talk about it because most people just can’t fathom the idea or possibility. The advantage of the pension fund over investing the same amount of money in the stock market isn’t very clear and depends on the returns of both. The main reasons why I invest via the tax-advantaged pension fund are 1) easy diversification and 2) getting a tax return that I can then immediately re-invest. The average returns of the longest running pension funds in Belgium lie between 6-7% since the mid 1980s, which is in line with stock market returns. As such it makes sense to make use of the pension fund since that gives you an immediate return of 30% divided by the legal retirement age minus your age: 30%/(65-age). I do agree however that not using the tax-advantaged pension fund and outright investing your money in an ETF or a similar fund could be a better option. The pension funds mostly just enrich the banks. The older you get the better value a pension fund becomes since the tax advantage significantly boosts your performance! You’re right, Ciamician. The fiscal limit is 940 instead of 950. Seem to have made a mistake there! Glad you are back. I enjoy your inspiring articles a lot. Cheers from Brazil. Good to see you’re back. Almost 100k!!! I might pick up as well some Novo shares. Trading at P/E 17 they are a pretty good deal with their still attractive growth perspectives. Thanks to financialfreedomsloth, there is a profound analysis of the risks as well. Just scroll a bit. Novo Nordisk still provides compelling value, I think. It’s true that performance of the past couple of years shouldn’t be expected going into the future, but there’s a lot of growth possible still. And the best part: no debt. The pension fund isn’t doing too great, but it’s not doing awful either. I already responded to Angel above: it’s an easy way to diversify and performance isn’t really something you can predict. Could go either way. – The long-term return of pension funds is higher than 3.90%. I believe the longest running ones from BNP Paribas etc. boast a 6-7% return since the mid 1980s. – The long-term return of the S&P 500 is indeed around 7%, but past performance is no indication of future returns. And on top of that the return of European markets is historically a bit lower than the US market. – Good idea to re-invest the tax advantage. Another way to look at it is that you don’t invest €940, but actually only €658 (70% of 940), which bumps the results of the pension fund. 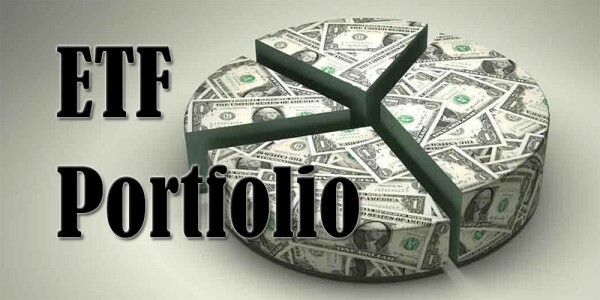 – The tax at the end of the fund no longer is 10%, but 8% on an average return of 4.75% if I’m not mistaken. It might be a good idea to take that number as the long-term return of pension funds. My conclusion is that the pension fund is a much better investment vehicle the older you get. The return of your own investments and the return of the pension fund are unknown, so it could go either way. Given the same return, the pension fund will come out on top. The only risk lies in changing legislation, but I don’t think you should expect huge changes in this area since so many people use the third pillar to boost their (already precarious) retirement. I agree there are pro’s and cons for both sides. Indeed, the more older you get, the more interesting it gets. I quickly reran the numbers with different parameters and no entree fee + only 8% tax at the finish. The break-even point lies around 5,2% performance (but still reinvesting). Next to this, I don’t like bonds for my long-term portfolio as they nowadays can’t catch up with stocks and drag the performance down (the BNP Paribas Balanced Fund is 50-50). 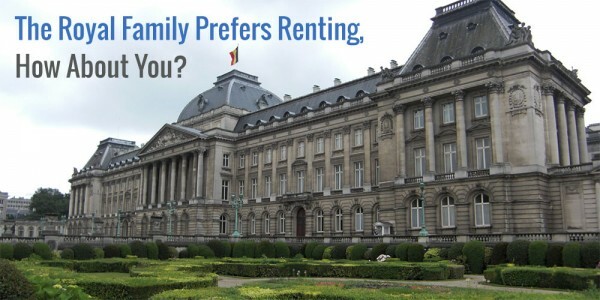 Although I won’t be investing in it anymore, I think it’s a very good vehicle for the average Belgian to save up for retirement, or for diversification like you mention. PS: initiated a first position in NOVO this week. Good luck on your Novo Nordisk purchase – great entry price! And congrats on the 100k, way more impressive than my results and I’m already super proud of myself. Up, up and away! Lots of good stocks on the list. Thanks for sharing! Cheers! I’ll check you guys out asap. Hmm, you’re right! I seem to have made a mistake somewhere… With my latest paycheck I was bumped over the 100k mark anyway. Incredibly happy with that! In Belgium the mountainbike purchase isn’t that anti-cyclical, ha. For some reason we only ride those things in winter when the going gets too tough on our road bikes. I did however get a very good deal on a Canyon Grand Canyon AL SLX 8.9. Incredible value for many and I heartily recommend their products and service. The only downside is that it could take quite a while before your bike gets delivered. Man, a 40% savings rate is still incredible! Name one person in your immediate surroundings that manages the same? 😉 Good luck bumping that number even further next year. Congrats on a fantastic year! Glad to see an updated post. Have you been tempted to have any waffles yet? Wishing you a healthy and successful 2017! Glad to see you’re still chugging along as well. Best of luck in 2017 and a happy new year! Glad to read from you ! I wish you also an happy nwe year. Thancks again for your inspiring blog: my own portfolio paid a 19% yield in 2016 ! Let’s keep on going ans enjoy the journey to financial independance ! Cheers! Happy new year to you too. Hope 2017 brings you whatever you wish for. A 19% yield is simply incredible! It’ll take me a very long time before my dividend growth rate pushes me to those numbers, very inspiring. 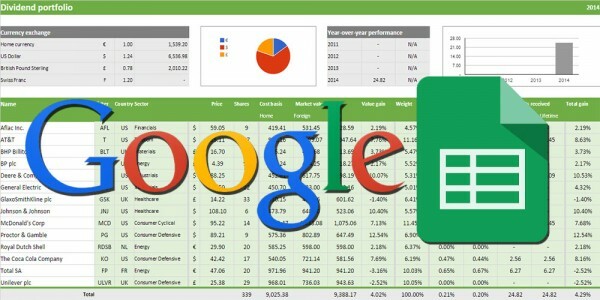 Glad to see you back in the blogging sadle, and thank you for the budget excel sheet. It transferred almost perfectely ot google docs and now I use it daily! You’re very welcome; I’m glad you find the Excel sheet useful. I still use it daily too – well, not daily because that means I’m spending too much, ha. Good to see you are back No More Waffles! I was afraid we would never see a post anymore. Ans so close to the magical 100k barrier! Hope you’ll get there soon. And hope to see some more posts again. Good luck to you! No worries, still going strong! I got tired of writing and keeping up with the blog since it became more than 2-3 hours of work and ate into time for friends and other hobbies. I just have to find a good balance between the blog and everything else that I have going on. Looking forward to see you’re progress in 2017! It’s always nice to see other Europeans join in the financial independence game. Best of luck! Welcome back, I was starting to think something bad happened to you. WELL DONE, on 2016 achievement, what a progress with your high focus on savings and reinvestement. I am going to buy more Roche (ROG.VX) end of February after receiving my 2016 bonus, I am going to make a post on the bonus topic. Looking for new post in 2017. By far the biggest impact on my net worth comes from my huge savings indeed! Even though I didn’t make my 70% target, I still saw massive progress. And I can start to see the first effects of re-investing my dividends. Roche remains a solid company to invest in. I haven’t looked at them in close detail for a while, but it is one of those set-it-and-forget-it stocks in my book. I hope you get a good deal on it at the end of February! It seems you are doing really great as a fellow Belgian. It seems we have quitte a few holdings in common. Currently I’m loading up some ABinbev stocks, I think the current price is a good entry point. Apart from that I’m looking to initiate or expand my position in Bollore, JnJ, Ter Beke and Nestle. Cheers, glad to be a fellow shareholder in any of the stocks I currently own! I believe AB InBev also provides a good entry point at the moment, although I’d like the price to be a bit lower. I was happy to snag up some extra shares when the price dipped below €95. I’ll definitely take a closer look at Ter Beke and Nestlé. Especially that last one has been on my watchlist since forever. Nice to read you again,cause I’m spaniard I would like to tell you something about Enagas, is a nice company that has growth the dividend during the last years… but not all is a fairy tale story, it has a big debt (controlled and normal due their business) and the incoming is not growing as faster as in the past, so probably they cannot rise the dividend every year. The good news is that Enagas is investing in other countries (in spain has a monopoly) that maybe help the company to still grow even more. I have it in my portfolio, and if is possible i would try to buy a little bit more. Thanks you for the heads-up about Enagas! I’m aware of their debt burden and tough environment. I believe it’s similar for most major utilities in Europe. However, with Enagas’ diversification to South America I believe they’ll manage to stay on top.